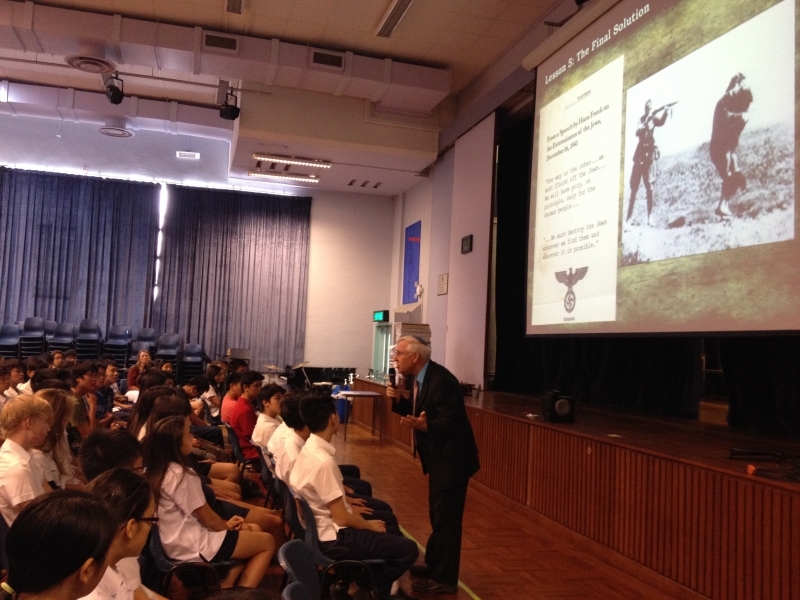 Ephraim Kaye, Director of the International Seminars for Educators Department of Yad Vashem, gave three seminars to students at Sha Tin College. He spoke to three different year groups and enthralled students with his subject material. Click here to read the students feedback.